We don’t really do Christmas at our house, but we’re increasingly falling in love with family traditions which happen to occur on/around Christmas day. For me, Christmas is intrinsically linked with mangoes (I grew up in sunny QLD) and playing cricket – for at least 6 hours with all the surrounding neighbours. 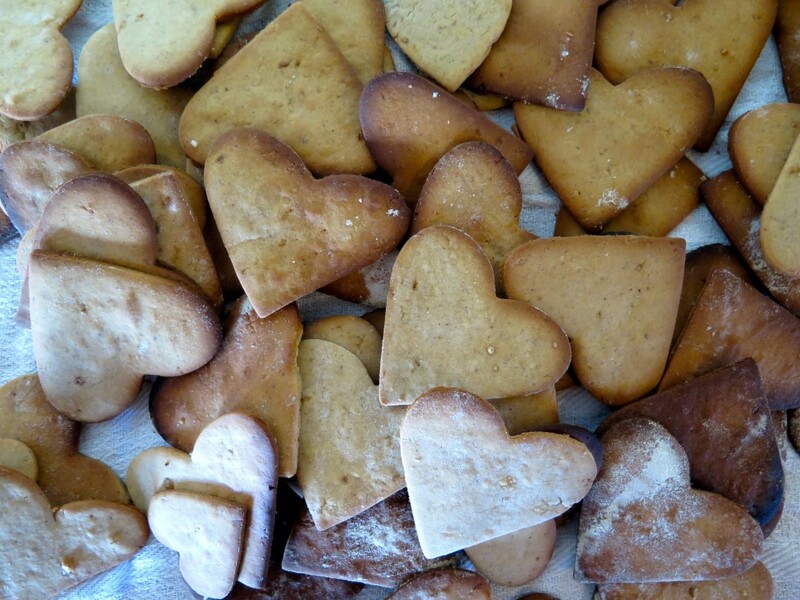 For Anton, it’s making a hell of lot of pepparkakor biscuits. Anton’s family is half Swedish and adopted this tradition from his dad’s mob. 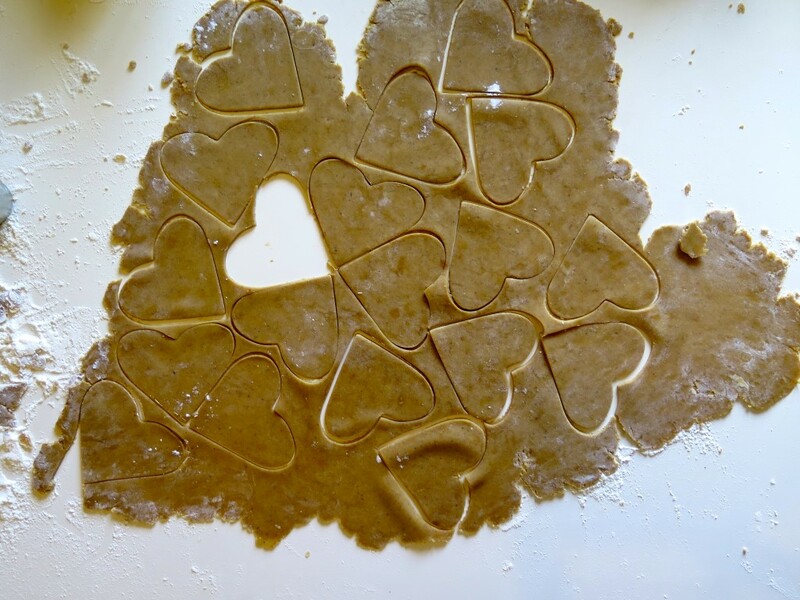 It’s a simple biscuit which reminds me of ginger biscuits, but it is its own thing and the best part is that you ALWAYS make them in the shape of love hearts. So naturally I think they’re the best biscuit ever. When I ask Anton what his earliest memory of pepparkakor is – he simply says that they were always there (around Christmas). 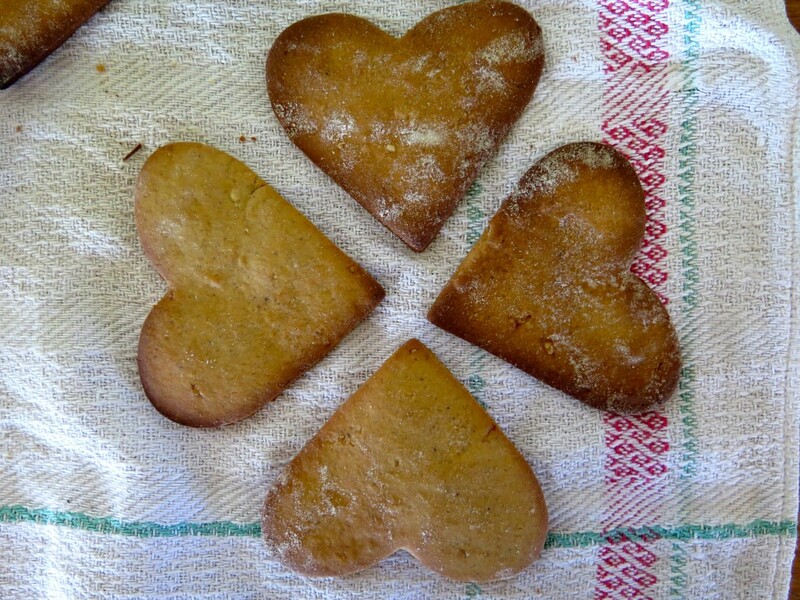 It marked that time of the year – summer, Christmas and pepparkakor all go together. 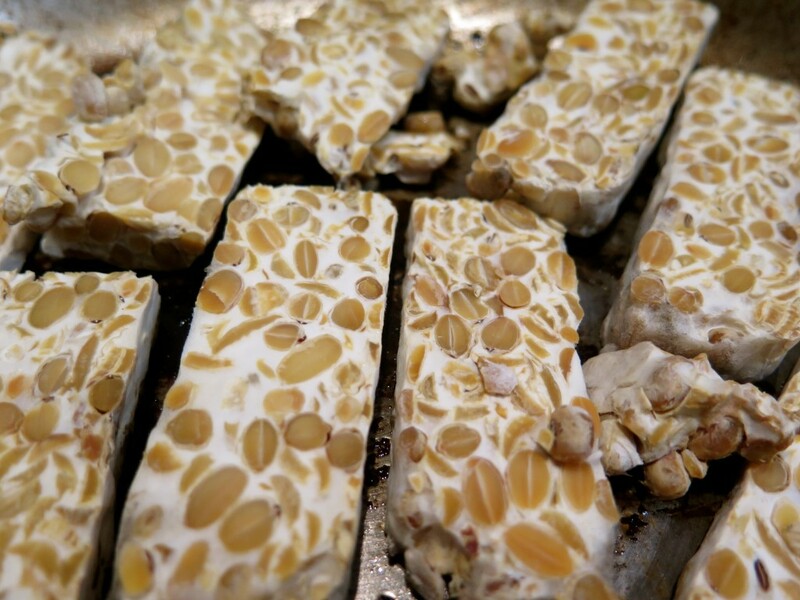 Every year Ros (his mum) would make (and still does) a major batch of this tasty treats to snack on over the festive season. There’s something really wonderful about these traditions that are passed down between generations, across continents and cultures. It’s a special way of keeping age old skills and stories alive. Love that. 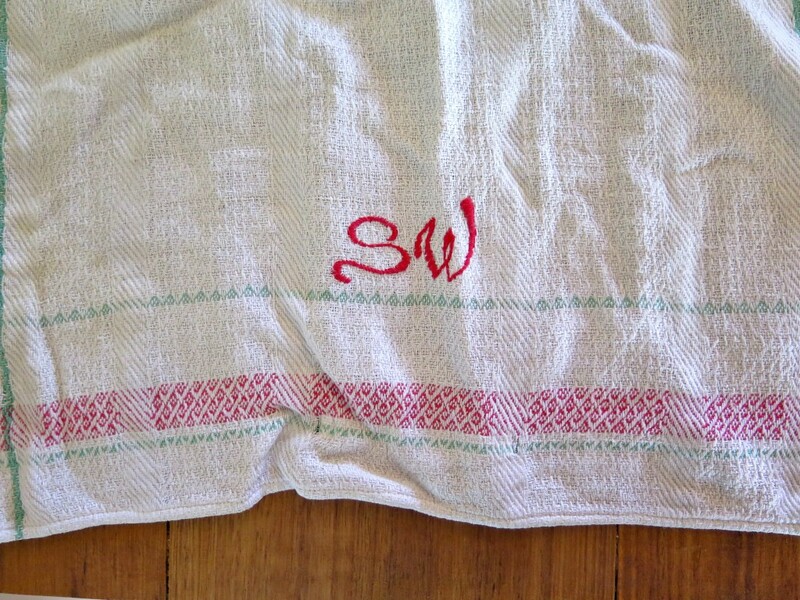 Anton even has a special cloth he uses when he makes pepparkakor woven by his grandmother, Signe Wikstrom (pronounced Vikstrom) with her initials on it. 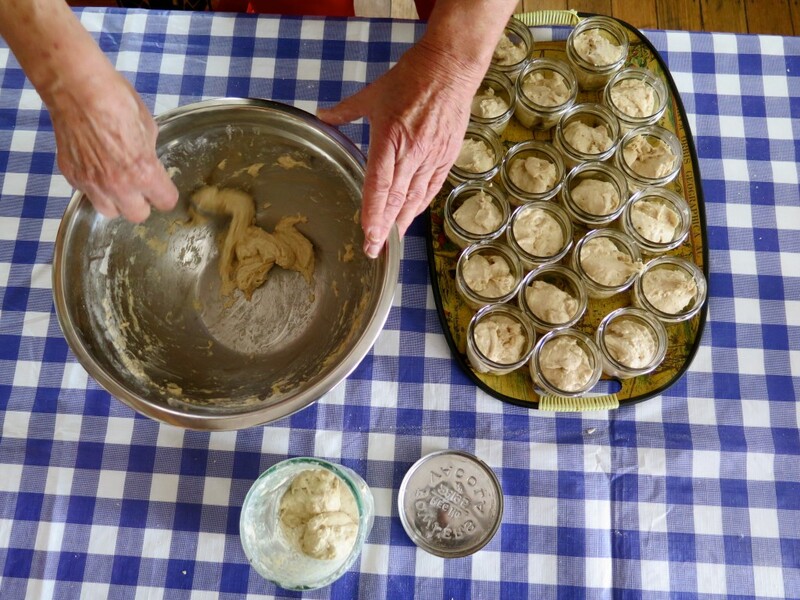 2) Ros says you should go easy on the flour at first as it’s easy to add it later and a nuisance if you add too much. Stir well and add whipped cream, white sugar, brown sugar, syrup and spices. Stir well for about 15-20 minutes. 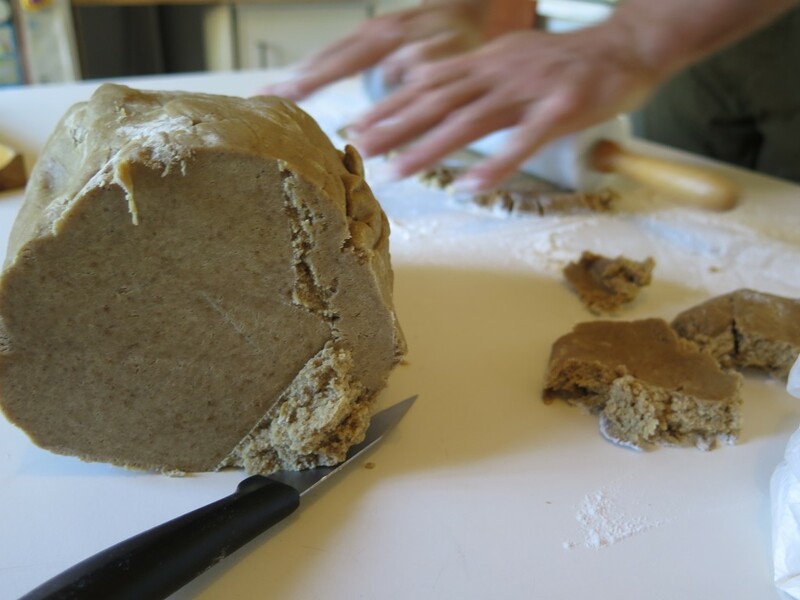 Mix the bicarb with a bit of flour – add flour until right consistency and save rest of the flour for later. Lay out in trays and bake in “good oven temperature” around 220, as long as it’s HOT. We do around 210 degrees in our oven. They only take around 5 minutes to cook, so you have to hang around and get a major production chain going on with one person making them and one person popping them in and out of the oven. The kitchen is a source of so many traditions, useful skills and family stories. I love learning and integrating new traditions into my life that have such a long lineage and which also happen to taste super fine. Have you heard about fertigation yet? It’s the happy coupling of fertilising and irrigating, where you harness a nutrient dense element, mix it with water and then spread it as one across your garden. It’s pretty cool. 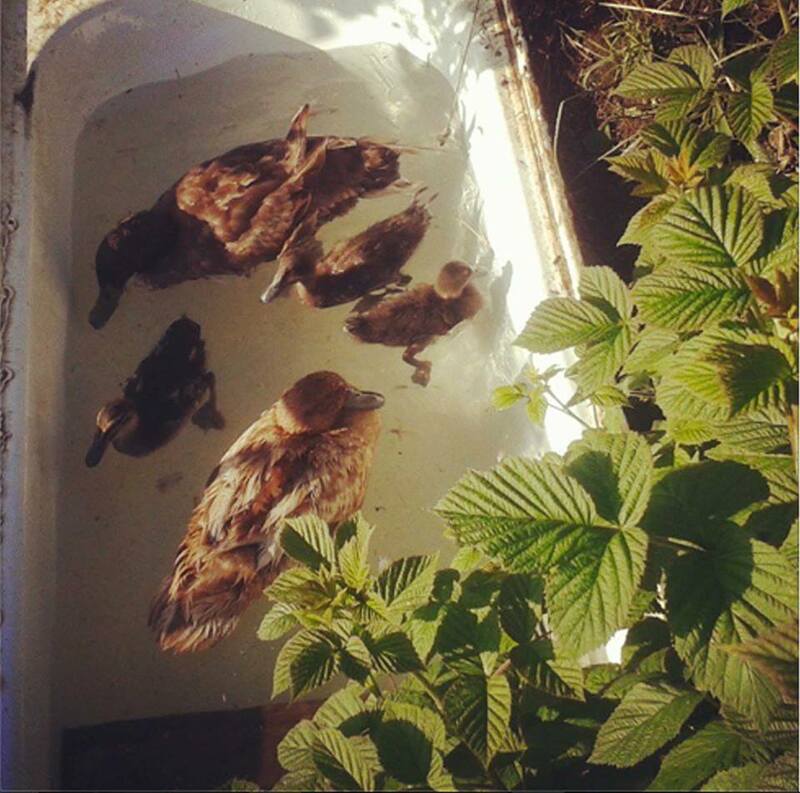 We do this in our garden with our ducks, who’s main purpose in life seems to poo, specifically in their pond (an old bathtub). 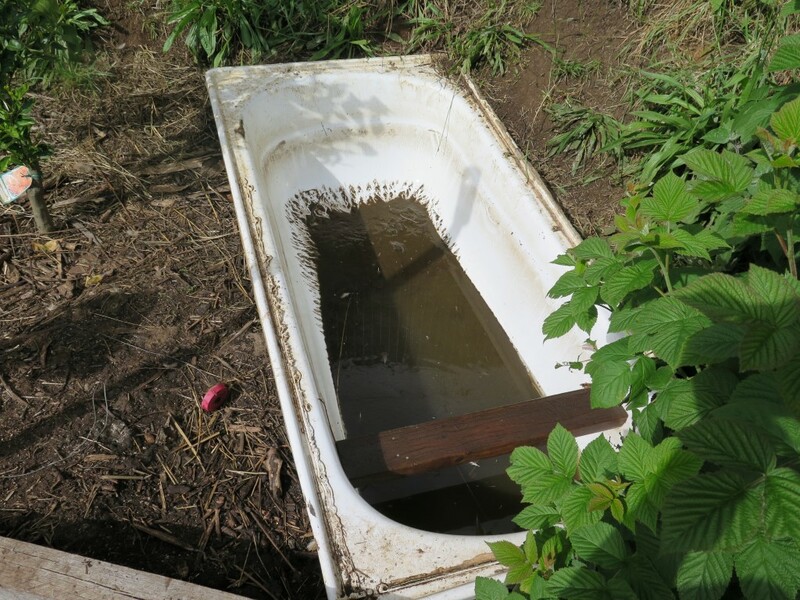 As you can see from the photo below, it can get pretty manky really quickly, so it’s important to know what to do with it, otherwise it can turn into a very smelly problem. But as the famous permaculture saying goes “the problem is the solution”. Fertigation is a beautiful, elegant example of this saying – turning excess polluting poo into a valuable resource for the garden. 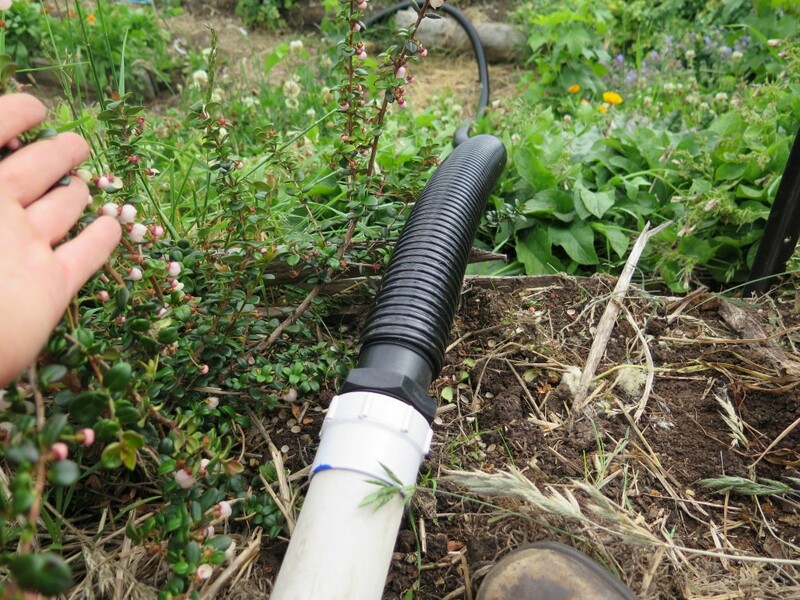 At least once a week, we flush the pond out to keep it fresh and have recently installed a pipe/hose combination so that this fertilised water can be directed to various parts of our young edible forest garden, rather than only one spot which would get problematic very quickly. 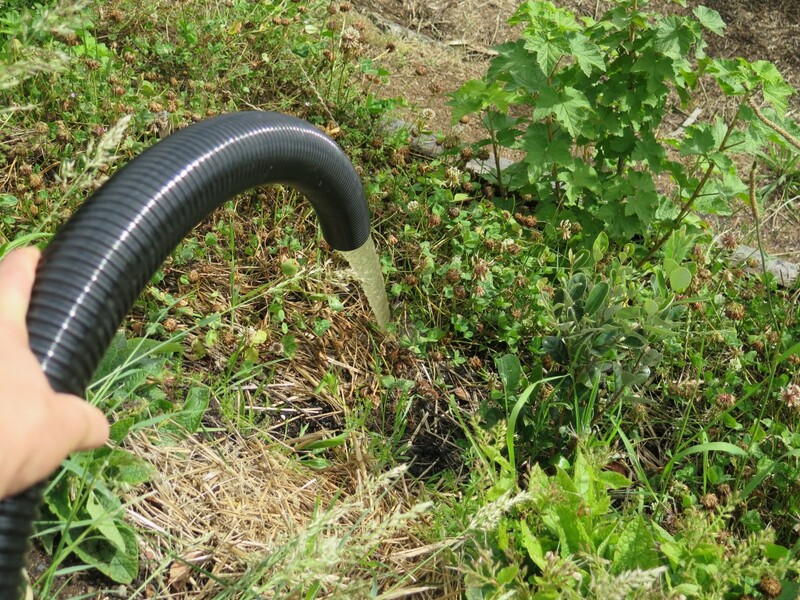 There are some simply yet important design considerations with the pipe and hose system. As you can see from the photo above, a lot of poo and muck builds up which can very quickly clog a pipe. 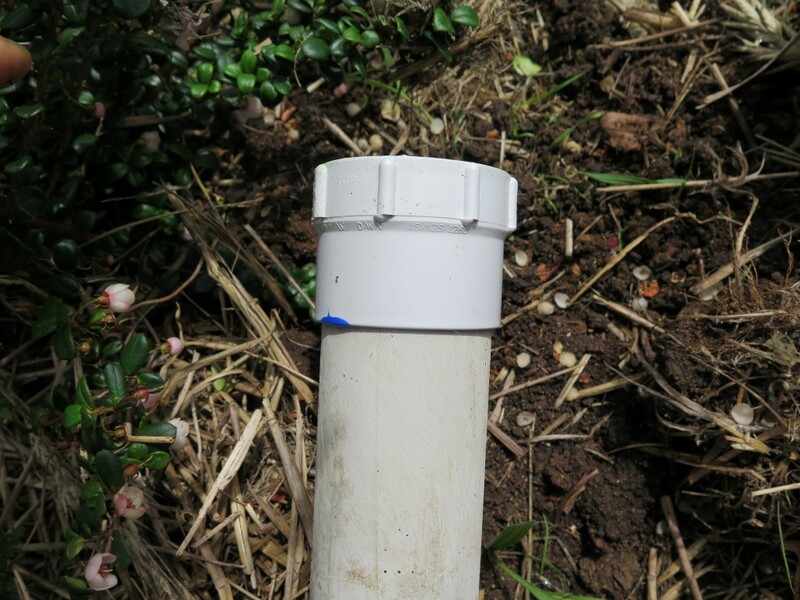 So we chose a 50mm pvc pipe to ensure that poo and other stuff (feathers, twigs etc) can be flushed through easily. Up until this point we’d scrounged all the materials from our local tip shop and were keeping an eye out for the ‘right’ hose and pipe connections. But my impatience got the better of me and I went and splurged at the local plumbing shop for brand new bits to finish off the job. These bits included a couple of threaded convertor ‘things’ so that we could connect the pipe to the hose properly. 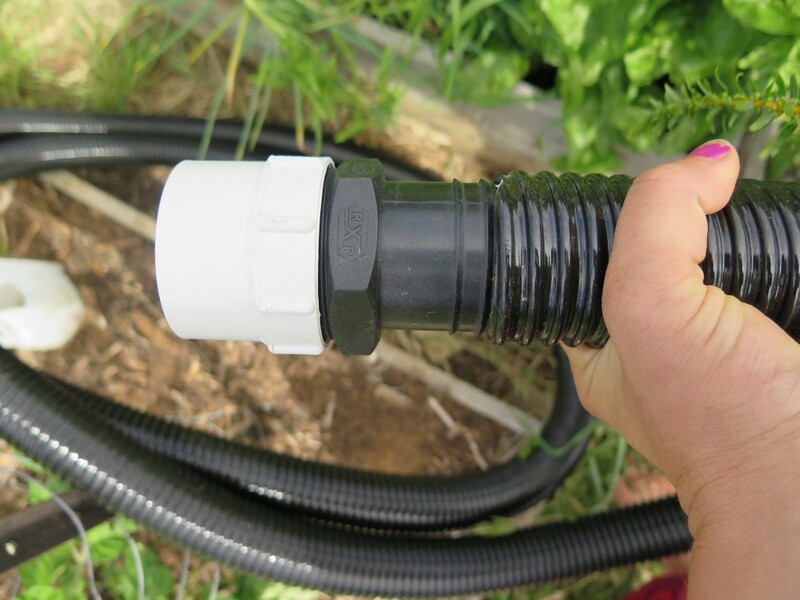 I chose a hose called ‘black marine hose’ which is super heavy duty, UV stablised and flexible. 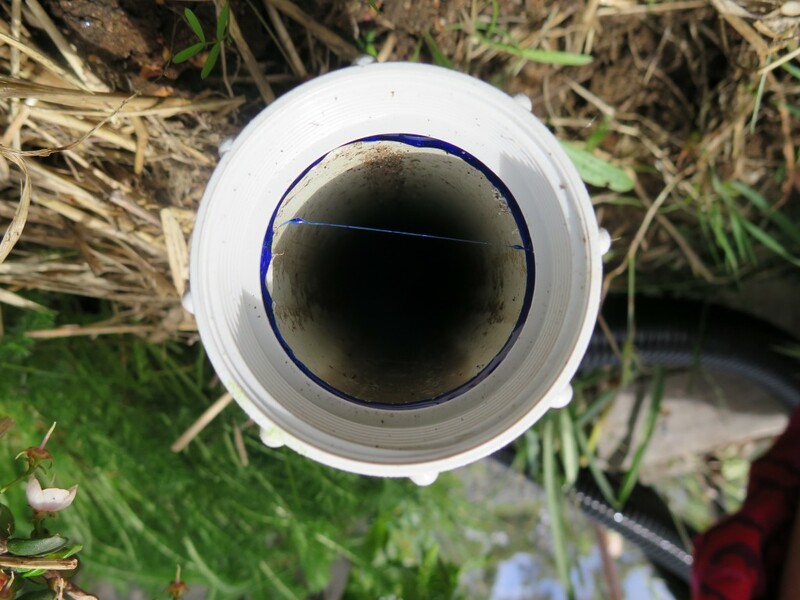 Using ‘blue glue’ (a plumber’s glue) we attached a threaded convertor directly onto the 50m pvc pipe. We made the black marine hose around 5m long (choose the length that’s right for your garden) which allows us to fertigate a range of spaces in our edible forest garden as well as some of the beds below this area. If you decide to fertigate annual vegetables, be really careful about getting any poo water on the leaves and only direct it at the soil to eliminate risk of sickness, i.e. you manage to eat lettuce leaf with duck poo on it. This is a minor risk and one which we’re completely fine with, but a risk nonetheless – simply wash your vegies well before eating and if concerned, don’t fertigate your annual crops. Above you can see the happy recipients of the poo/water combo – a baby feijoa fruit tree, current bush, comfrey and clover ground cover. 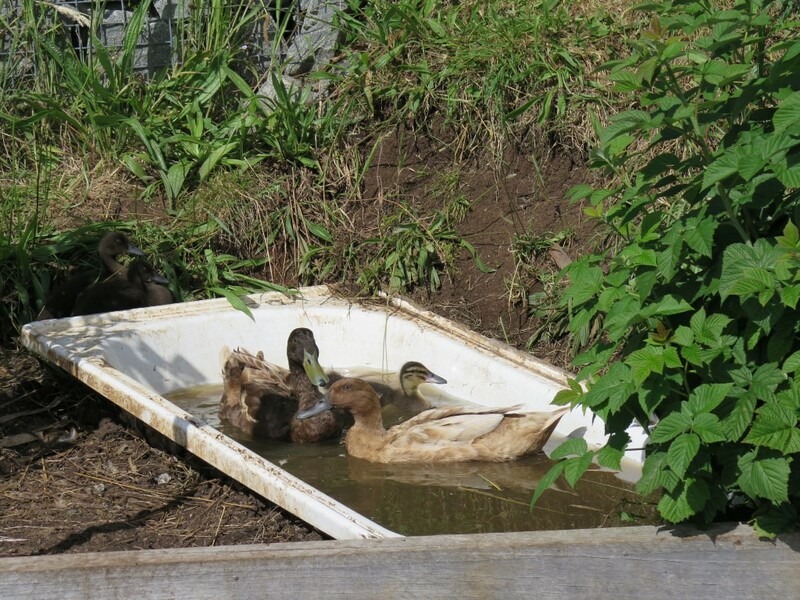 Below the happy duck family relish in fresh water, which turns a dark poo coloured brown in around, oh, 5 mintues. As we’re on a steep slope, we’re able to simply use gravity to empty the bath, so no pump needed which is one of the perks of living on a crazy hillside. We had a couple of issues with our garlic crop this year. 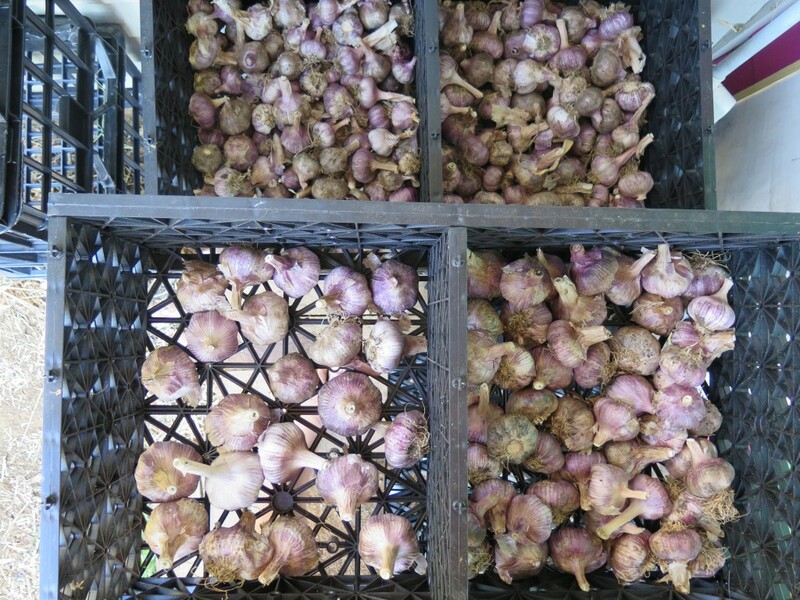 After a super beautiful and abundant start to the season, things turned grey towards the end with garlic rust creeping in swiftly and then at the very end, we had a few specks of the dreaded white root rot show up. Booo! As a result, we pulled our crop a few weeks early to salvage what we could, dried and sorted it into what needed eating now and the stuff that can hang out for the year. Which brings us to the situation of what do you do with a big bowl of garlic which needs eating right now. Preserve it of course. One of my favourite ways of doing this also happens to be dead easy – a recurring theme in things I’m attracted to. 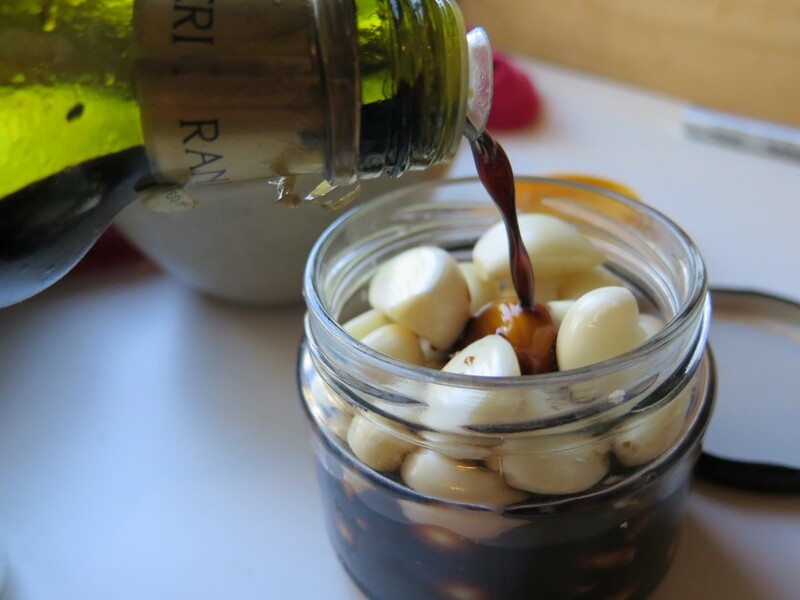 All you need is garlic, tamari and some clean jars. 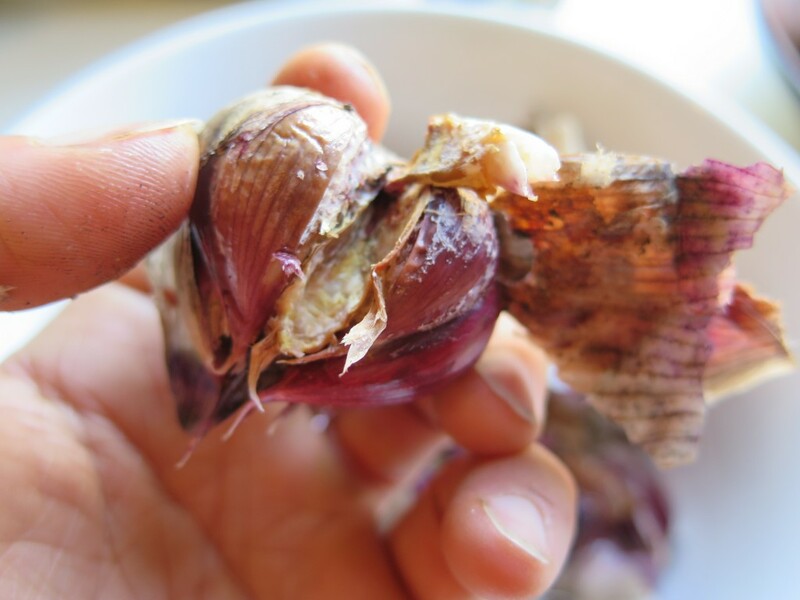 We were actually happily surprised by the size of most of our garlic, we ended up cutting off their tops as they were riddled with rust and we hated the thought of it contaminating us, our house, everything. We’re just a touch paranoid. You can see the signs of white root rot creeping into this corm. Not a good sign. 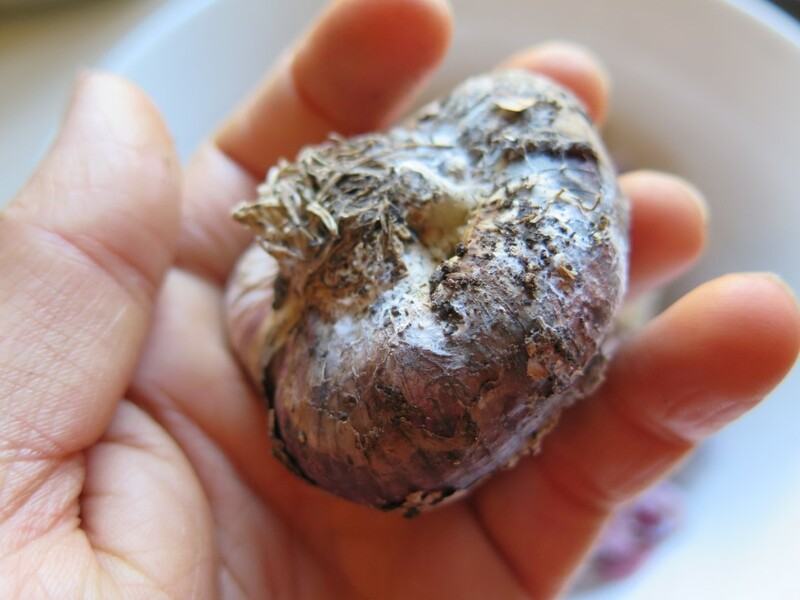 Even though we’ve been drying this garlic out for around a month, if you break the corm open it’s still uncomfortably moist and gross directly beneath the areas of the white root rot (see below photo). The fear is that this will slowly but surely destroy the whole corm. And so we start preserving. 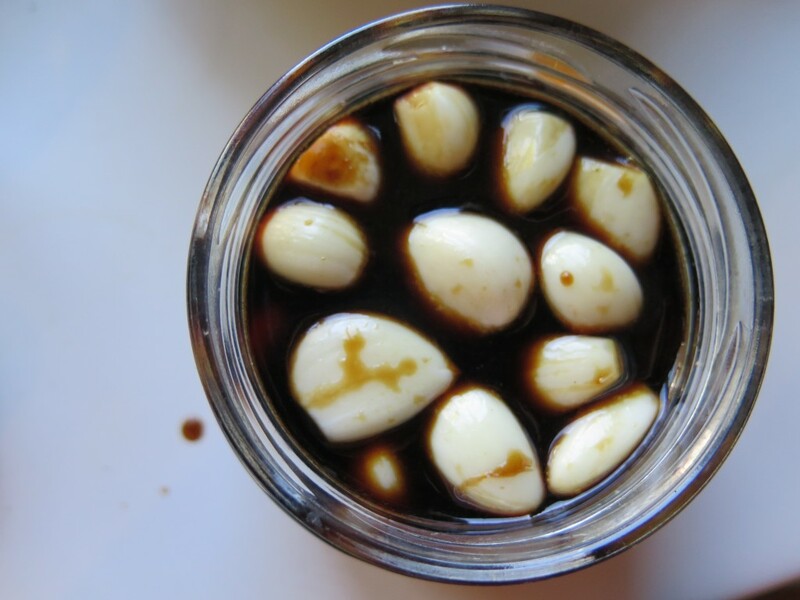 Preserving garlic is also a fantastic opportunity for people like me to practice patience, which is not a naturally occurring tendency for me. 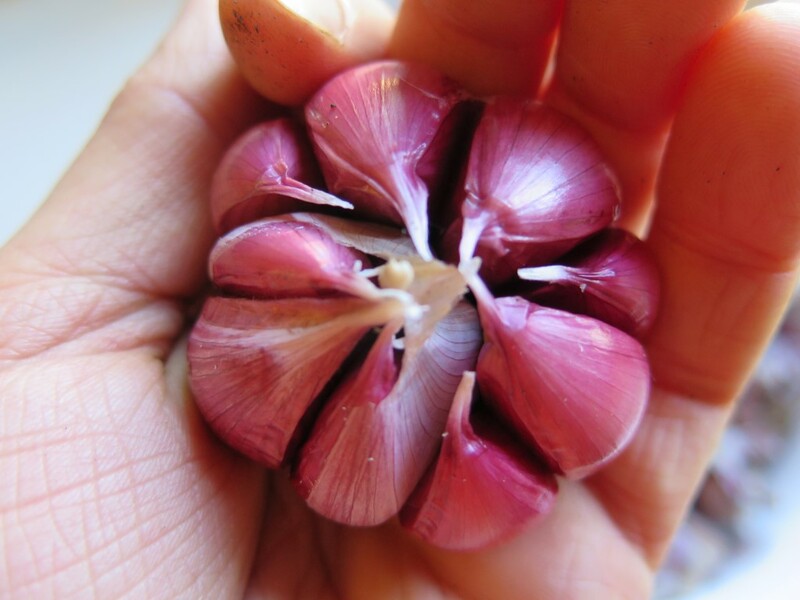 Put some nice music on or a radio podcast, get comfy and start peeling garlic. Pop them whole or halve them (optional) into a clean glass jar, just make sure they’re nice and snug so they’re compact. Enter tamari! Tamari originated from Japan and is the liquid by-product from making miso (fermented soy beans). It is not soy sauce, but does taste similar, i.e. salty – it’s also gluten free (unlike soy sauce). Due to its high salt content it’s a brilliant preserving agent and incredibly tasty. 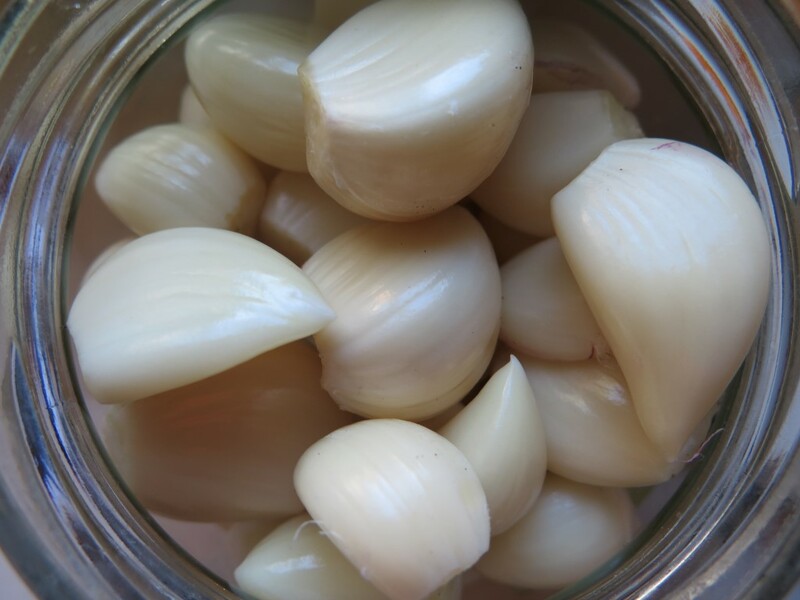 Simply fill the jar to the top, covering all the garlic cloves, I’ve found that it doesn’t matter if the top layer ticks it head out, so you can relax about that. Finally, just pop on a lid and store on your shelves out of direct sunlight. It’s best if you leave it there for around 6 months before opening so it can get super flavoursome, but it will still taste amazing after 3 months as well. What you end up with is two tasty products, the tamari can be used in cooking and is infused with garlic flavour – it’s so so good. 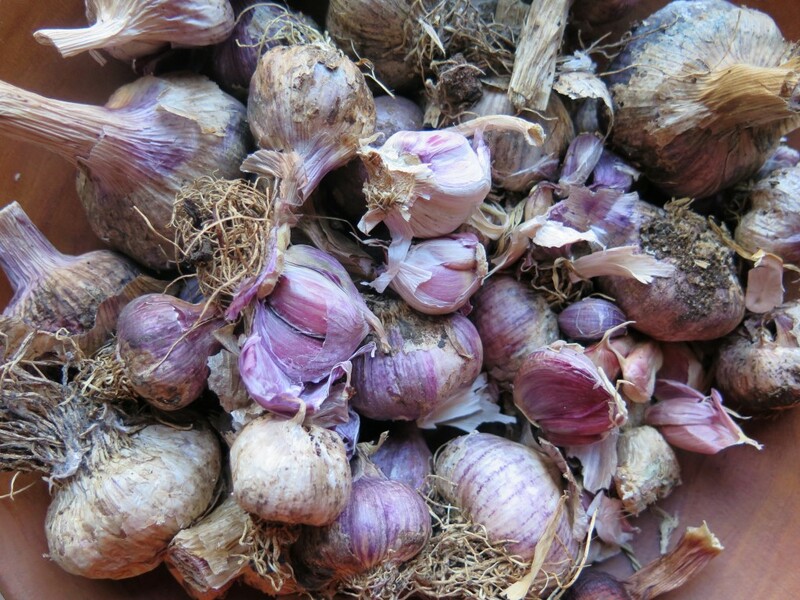 And of course the garlic cloves can be chopped up and used fresh or in cooking. You can literally store this indefinitely – it want go off, in the past I’ve had jars of this last years. 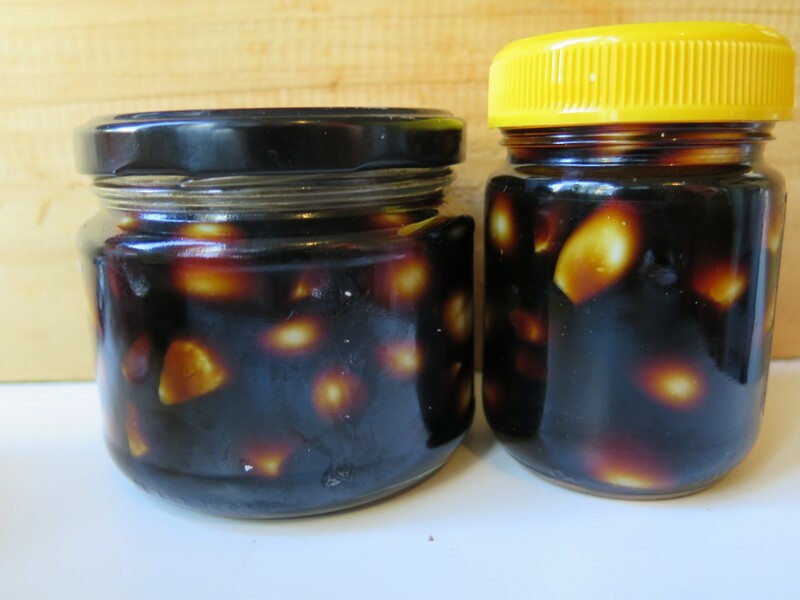 All we can say is, thanks goodness for age old, easy preserving techniques, they’re life (and food) savers! 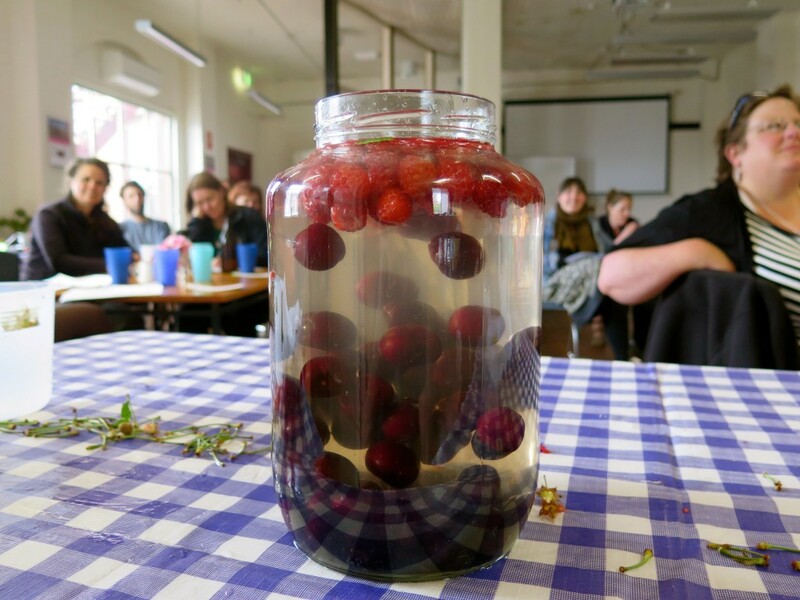 We couldn’t think of a better way to welcome in the festive season and finish off a very full year than holding a Fermentation Fest… And so we did, with 20 fine and keen folk exploring the ways of sourdough bread, summer wine, tempeh and more. 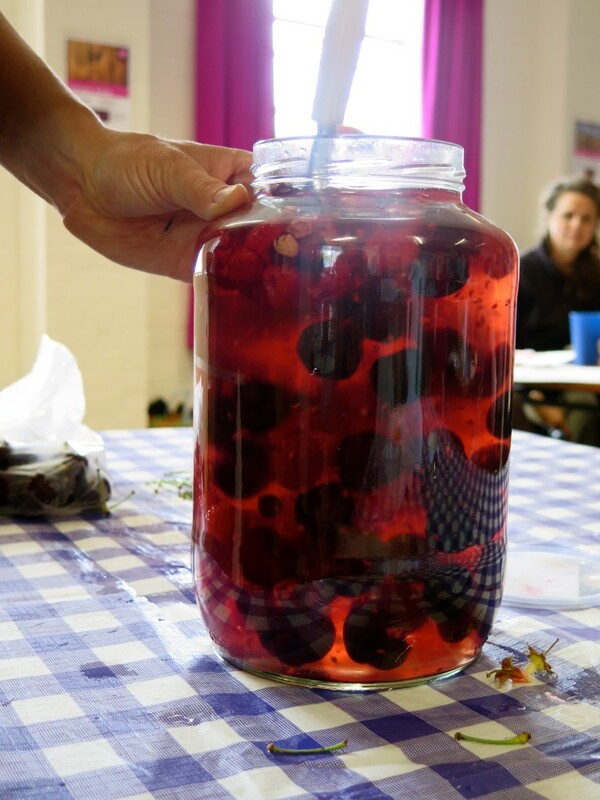 We did it all, and focused on wild fermentation – the low-fi, accessible and easy ferments which anyone can do with out buying unnecessary ‘gimicks’…. And this is what it looked like. 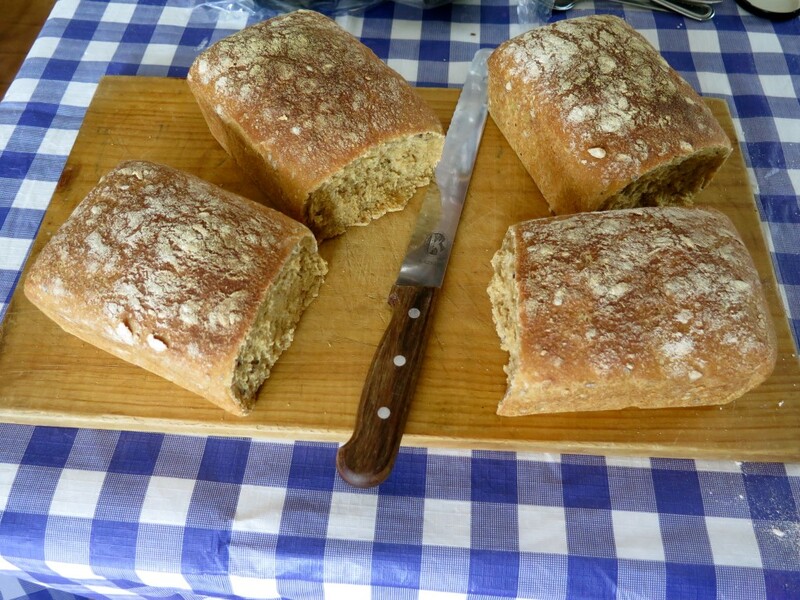 Sourdough bread – an absolute staple in the fermenter’s diet. Local bread whisper, Margaret Steadman, stepped us through her simple technique and then kindly shared her 10 year old starter with the group. Everyone went home with a little jar of ‘Fern’ (the starter’s name) to continue her life across Tasmania. Dill pickle is one of our favourite wild ferments which we make all through the warmer months, when cucumbers are in season. 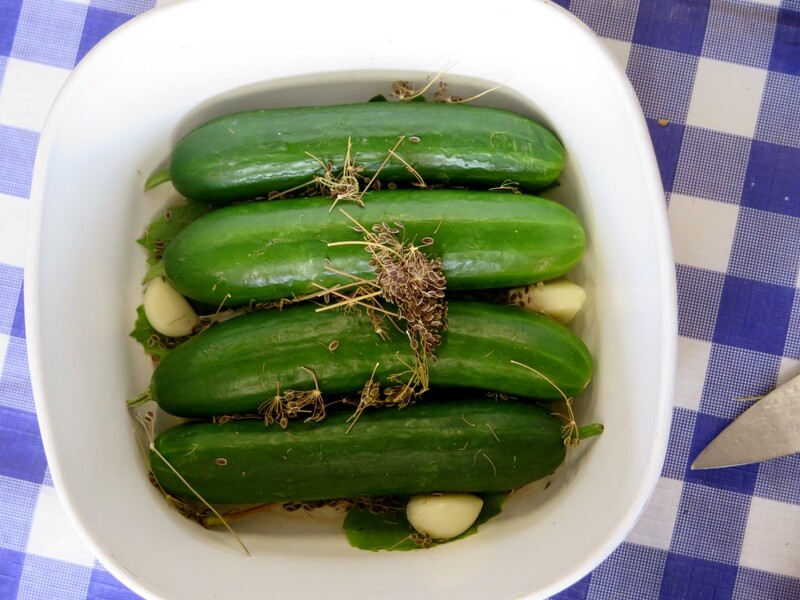 All you need to make is a brine (water and salt) to which you add garlic, dill seed, garlic and grape leaves which help keep the cucumbers crunchy. Country wine (aka summer wine), seasonal fruit, water, sugar and a bit of time on the kitchen bench. Works best when you choose ‘fleshy’ fruits like plums, raspberries, cherries and blackberries. We used cherries (from a local farm) and raspberries and one currant (we ate the rest) from our garden. 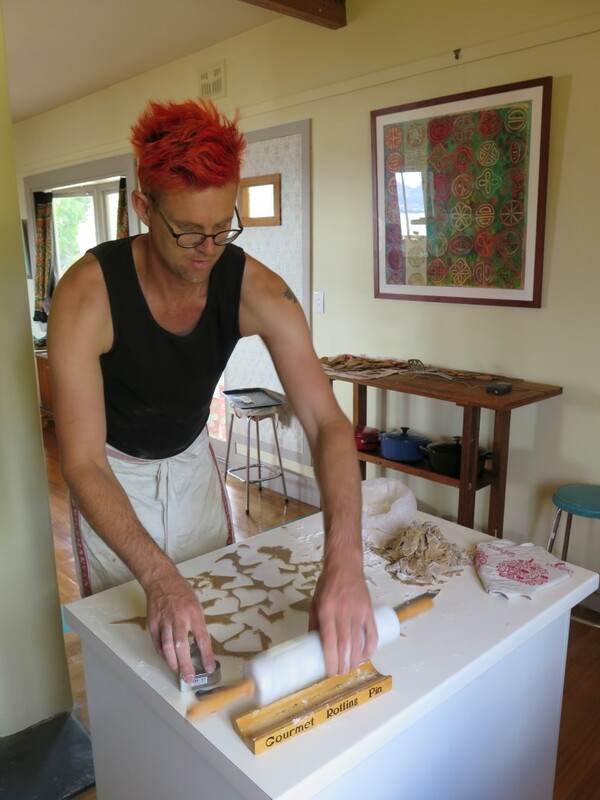 Our friends at Milkwood did a great blog about how to make your own here. 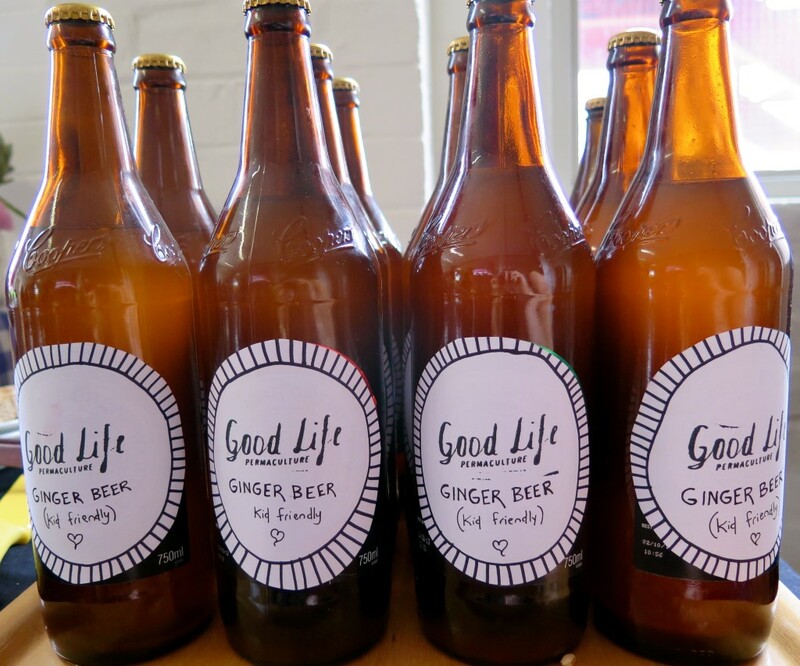 We served good ol’ fashioned home made non-alcoholic ginger beer with lunch. Although Anton thinks that perhaps there was a bit of alcohol in there as he felt a bit light headed after lunch… Oops. It tasted really good is all I can say. Lunch featured some of our home made yoghurt, tempeh (below) and our pink pickled eggs plus assorted goodies from the garden (of course). 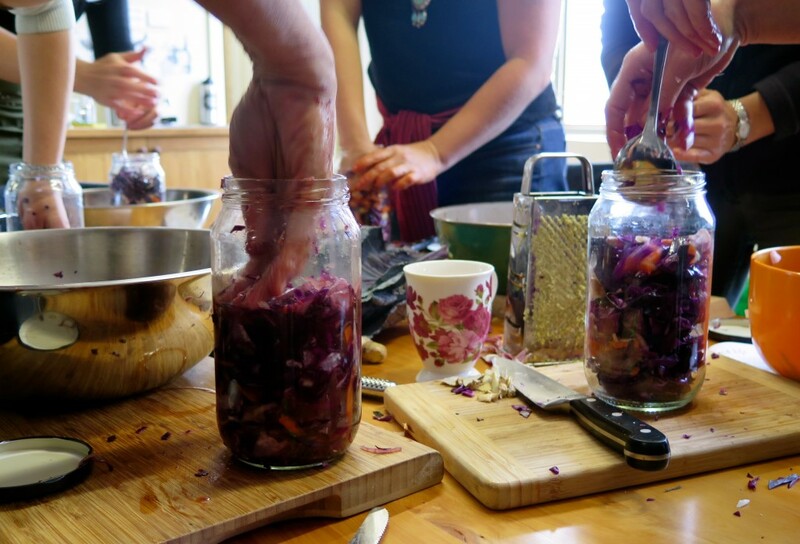 Eating good food together is always a wonderful idea on these types of workshops – providing a chance for people to connect, share stories and recipes. Real tempeh – you can’t beat it. We demonstrated how to make it from scratch and then cooked up a whole bunch we made before the day as part of our lunch. Words cannot describe how fantastic it is compared to the lifeless, wet spongy stuff you buy from the shop. We made sure that everyone went home with a bag of soy beans and tempeh starter (spores) as we’re a bit obsessed with hooking up people with this good stuff. We’ll do a blog specifically on this in the near future so you can make your own too. And of course it wouldn’t be a Fermentation Fest without making a whole bunch of kim chi and sauerkraut. 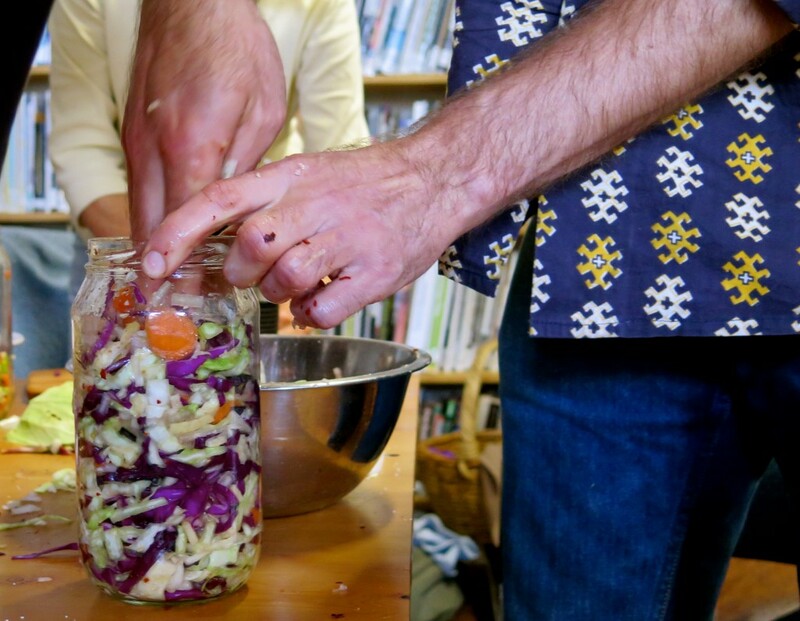 Local fermenter, Garth Coghlan, bought in an array of cabbage/vegie delights he’d made to taste test and then stepped people how to make their own. 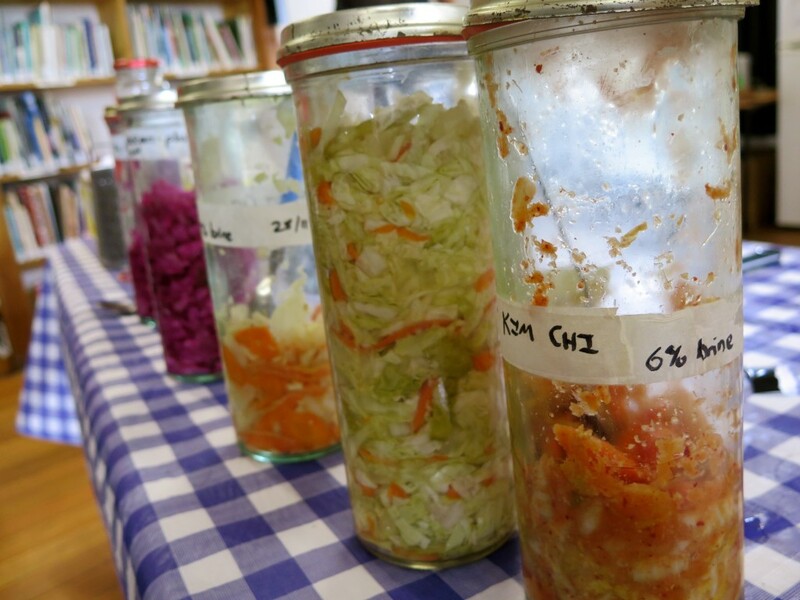 We then got busy making our own, each person tailoring their ferment to their taste with chilli, ginger, garlic and more – there were some VERY strong smells going down. Ian wins ‘photo of the day’, his delight in learning the ways of kim chi was glorious and contagious! Thanks to everyone who came along and for the many good conversations over a delicious lunch, we love sharing useful know-how with folk, skills that will stay with people for the rest of their lives. Skills that increase good health, reduce/elimate waste, preserve crops and bring you unlimited joy. There is no loosing with fermentation. Our next Fermentation Fest is due to happen in late 2015, you can register your interest by emailing us at hello@goodlifepermaculture.com.au. 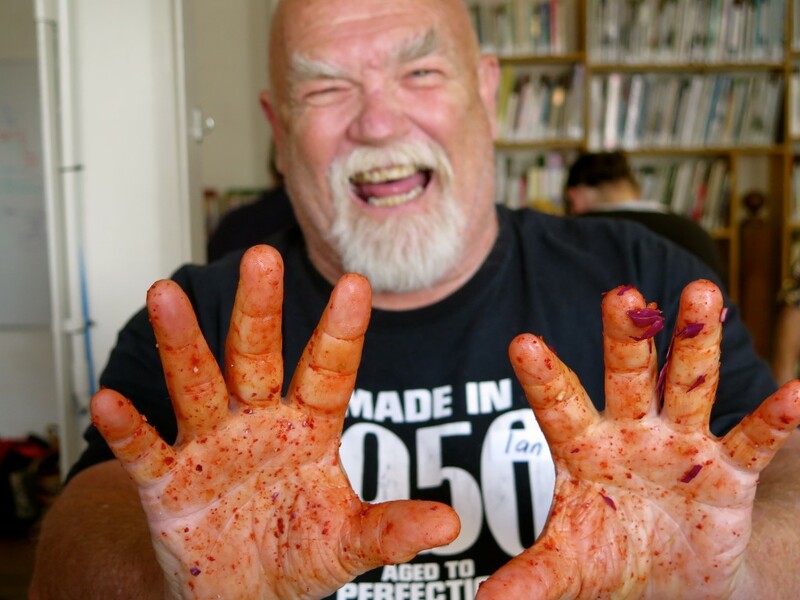 And finally, a special shout out to Sandor Katz – international fermentation guru, who we’ve gleaned an enormous amount of inspiration and recipes from. You can check out him and his books here.